Home / B.O.B. 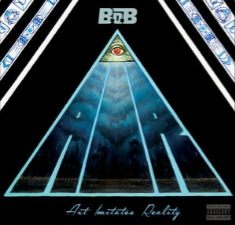 @bobatl New Self Produced Mixtape "A.I.R" / B.O.B. @bobatl New Self Produced Mixtape "A.I.R"
B.O.B. @bobatl New Self Produced Mixtape "A.I.R"
A.I.R. is comprised of 11 tracks and is entirely self-produced. Stream the tape, share your thoughts in the comments, and listen to the rest of B.o.B. 's elemental mixtape series.